BPL players auction knocking at the door. The event will be taken place on Friday at noon. But the franchises has already signed the overseas before the auction. According to reports the seven franchises have signed up total 31 foreign players for the upcoming season. Chris Gayle has signed for Chittagong Vikings with the condition of play five matches. The T20 specialist appeared for Barisal Bulls in last time. He took part in the five games in last time and this term he again to be parted in five events. Besides of the Gale there are some legend foreigners as well as Dwayne Smith, Chaturanga de Silva, Shoaib Malik and Mohammad Nabi would play for the Chittagong. Barisal Bulls are set one Sri Lankan player before the auction who is Dilshan Munaweera. Last season Gayle boost them in many ways. But this season they unable to hire the Caribbean star. The defending Champion Comilla Victorians hired five overseas, three from Pakistan and two from Sri Lanka. The Pakistani are Sohail Tanvir, Imad Wasim, Ashar and the Sri Lankan are Thisara Perera, Nuwan Kulasekera. The two time champion Dhaka Dynamites signed the versatile foreigner for the side. Among of their six signing the twice are Sri Lanka star Kumar Sangakkara and Mahela Jayawardene. The English bowler Ravi Bopara and Evin Lewis also included in the side. The Caribbean star Andre Russell and Dwayne Bravo also in the squad. This time they signed Shakib Al Hasan as the captain. So they have the full chance to grab the title for three times. The Rangpur Riders who gonna be the second appearances in the BPL field confirmed the boom boom Afridi this term. Their rest signing are Sharjeel Khan, Mohammad Shahzad, Babar Azam, Shanaka, Richard Gleeson, Gidron Pope. Sylhet Super star not included in the competition and Rajshahi and Khulna has taken place in the competition. 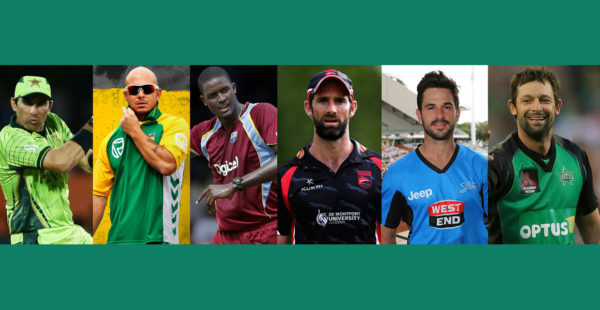 Khula which referred as the Khulna Titans confirmed Nicholas Pooran, Riki Wessels, Kevon Cooper, Mohammad Asghar, Benny Howell for the coming season. Rajshahi confirmed two guys Darren Sammy from West Indies and Mohammad Sami from Pakistan. The first category players are embarked of $70,000, while the second, third and fourth group valued as of $50,000, $40,000 and $30,000 respectively. Apart of theses some other guys as well as Ben Hilfenhaus, Evan Gulbis, James Vince, Ben Laughlin, Tom Beaton, Liam Dawson, Graham Onions, Jade Dernbach also in the draft list. But they are still unsold. The all confirmation will revealed after auction. To get update keep eyes in our site.